We are proud to announce you the Official Selection of Feature Films of the 8. 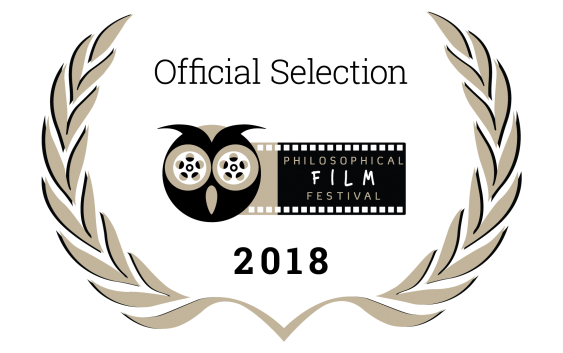 Philosophical Film Festival: 6 films from 6 different corners of the world (Hungary, Ukraine, Iran, Romania, Germany/Kosovo and Brazil) which will be presented for the first time to the Macedonian audience in the Cinematheque of Macedonia this April and will compete for the “Golden Owl” award from the jury and the audience. THE CITIZEN, a Hungarian film by director Roland Vranik, will face us with the difficulties of integration and the question what does it mean to be a citizen today (in Hungary or elsewhere)? ; the Ukrainian independent film by Aristarkh Neskupov SCHOPENHAUER SCHIZOPHRENIA – a film acting as a metaphor for loneliness, pain, despair, and depression depicting the existential agony of the protagonist in a masterful improvisation and play with the philosophy of absurd; the Iranian film A LONG DAY , by director Babak Bahrambeygi placing us in front of the moral dilemma of the main protagonist – in the complex human world, sometimes it is difficult to make a decision when the concepts of good and evil, moral and immoral are not clear; the inspirational Romanian film BESIDE ME by director Tedy Necula, wondering what could happen when time stops for a moment (or half an hour) and when the subway turns into a metaphor for life; Dren Zherka’s ECHO, a Germany/Kosovo co-production giving us a glimpse into the lives of two ageing parents living a lonely life in two countries as different as Kosovo and Germany, raising the question: what happens when the bonds with our families and people who care for us break down through social chaos or our hyper-fast, pragmatic ways of life? The last film of this year’s Selection is the Brazilian experimental feature YOUNG AND MISERABLE OR A MAN SCREAMING IS NOT A DANCING BEAR by Thiago B. Mendonça – a daring name for a film that tells the story of a group of artists who test the boundaries between art and life, trying to create a revolutionary consciousness amidst Brazil’s society, wondering what could be the ultimate aesthetic act. Congratulations to all film-makers and their crews! We are looking forward with so much joy to present these beautiful moving images and pondering stories, and keep sharing together the passion for philosophy and the seventh art.